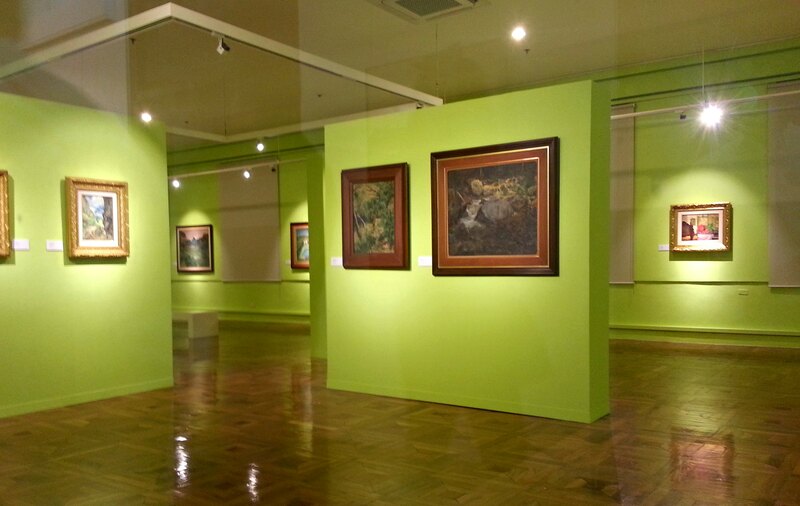 first time to see a lettuce-green-colored gallery. i love it! 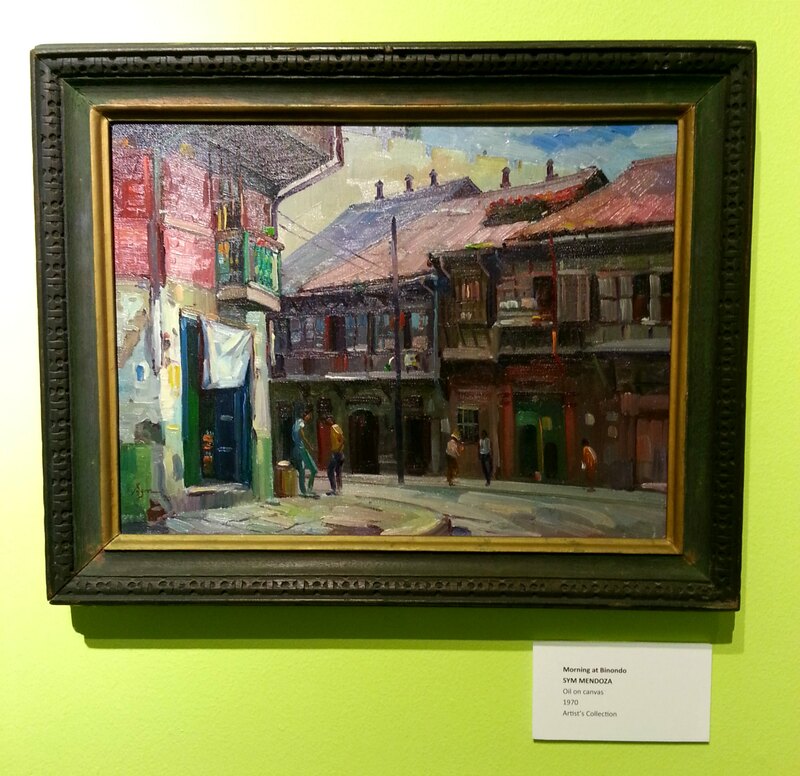 It has exactly been a week already, yet I could not expunge in my thought the need to write about a 1970 oil painting done by Sofronio “Sym” Mendoza entitled Morning in Binondo. I don’t know why but this painting seem to have quietly caught my attention during the night of the exhibit’s formal launch. I would like to believe that it is the alluring streaks of color as well as the glowing pigments that has attracted me most about this 44 year-old painting. Also, I guess it is the easy-going yet serene approach in the depiction of a specific space in Manila that has caught my interest. 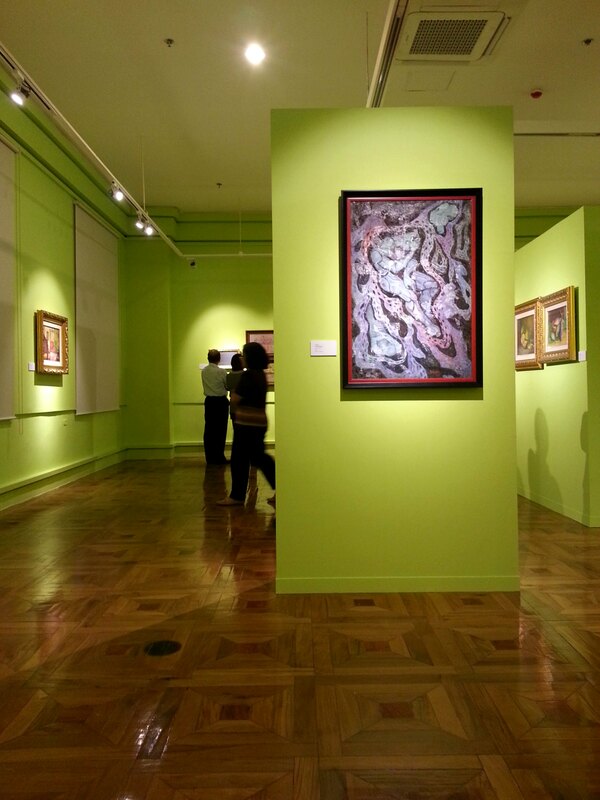 This vibrant yet soothing tableau truly exemplifies an excellent portrayal of Philippine life and scene. 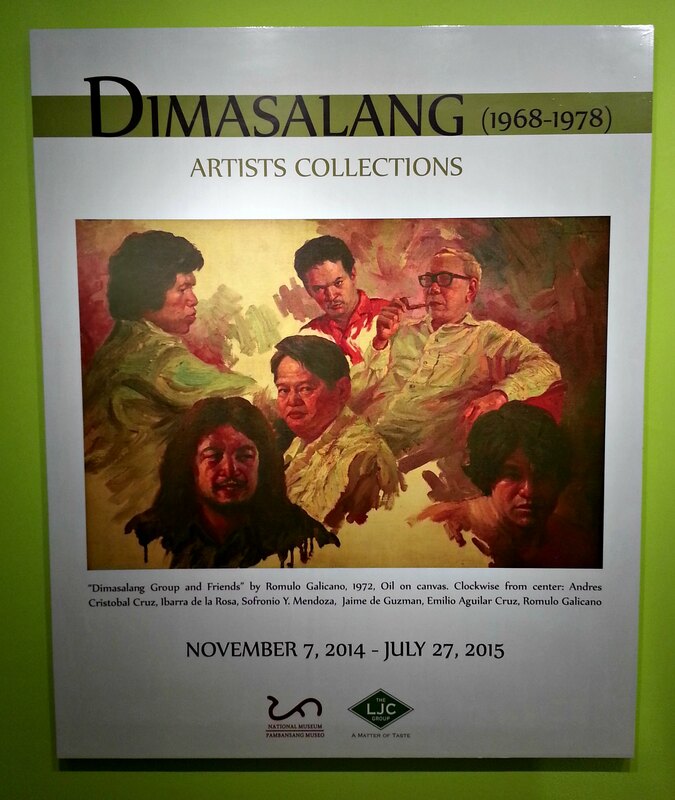 The Dimasalang Artists Collection Exhibition will run until July 27, 2015 at the Museum of Fine Arts of the National Museum of the Philippines.